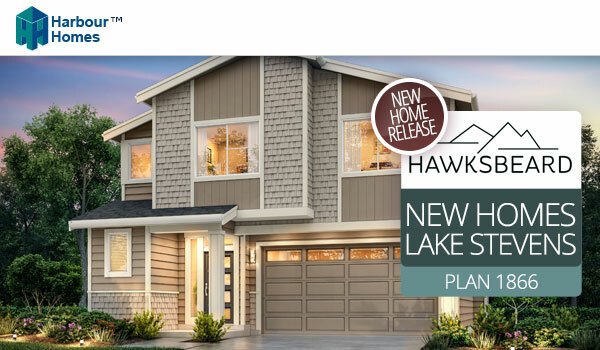 Don't miss out on the best priced new home offered in Lake Stevens at Hawksbeard. The brand-new 1866 floorplan offers 1,866 square feet of northwest living including a covered porch, 4 bedrooms, 2.5 baths and a great room that is perfect for entertaining. The price release, in the mid-$400s, is coming June 8th. Stay tuned! Hawksbeard in Lake Stevens, located off of 115th Avenue SE & 22nd Street SE, features 42 new homes priced from the mid $400s and served by the coveted Snohomish school district. For more information contact Elene or Heather today.